Planters is sponsoring three urban park renewals throughout the U.S. this year, and as part of the deal, the parks are being reshaped in the form of a peanut. This week, DC is getting its turn. 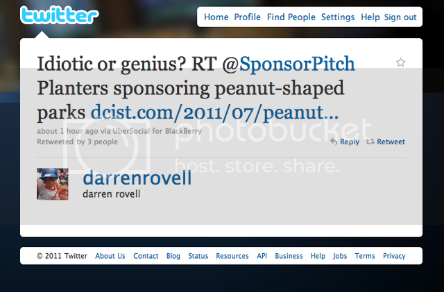 In response to our tweet, Darren Rovell from CNBC followed up with the question: "Idiotic or Genius?" 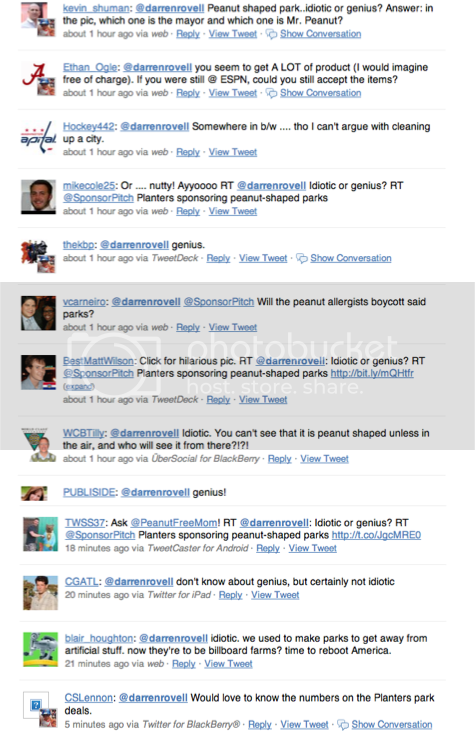 and a flood of responses followed (see below). What's your take? Idiotic or genius sponsorship for Mr. Peanut? Whether you like or not (which we're assuming most of you do), more of this is coming. See Toronto for example. Leave your thoughts in comments.